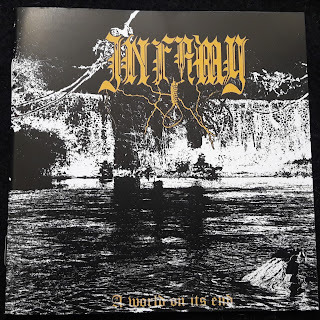 Infamy are a band from France that plays a very hateful form of black metal and this is a review of their self released 2018 album "A World On Its End". Drum beats along with some powerful sounding bass guitars start off the album while clean playing can also be heard briefly before going into a heavier musical direction which also introduces high pitched black metal screams onto the recording along with the riffs also bringing in a decent amount of melody. When the music speeds up a great amount of tremolo picking can be heard while the music also brings in a great mixture of both old school and modern influences along with the songs also bringing in a decent mixture of slow, mid paced and fast parts as well as some elements of doom metal in some of the slower sections of the songs and when tremolo picking is utilized it gives the music more of a raw feeling, when guitar leads a re utilized they are done in a very dark and melodic style and they close the album with an instruemntal. 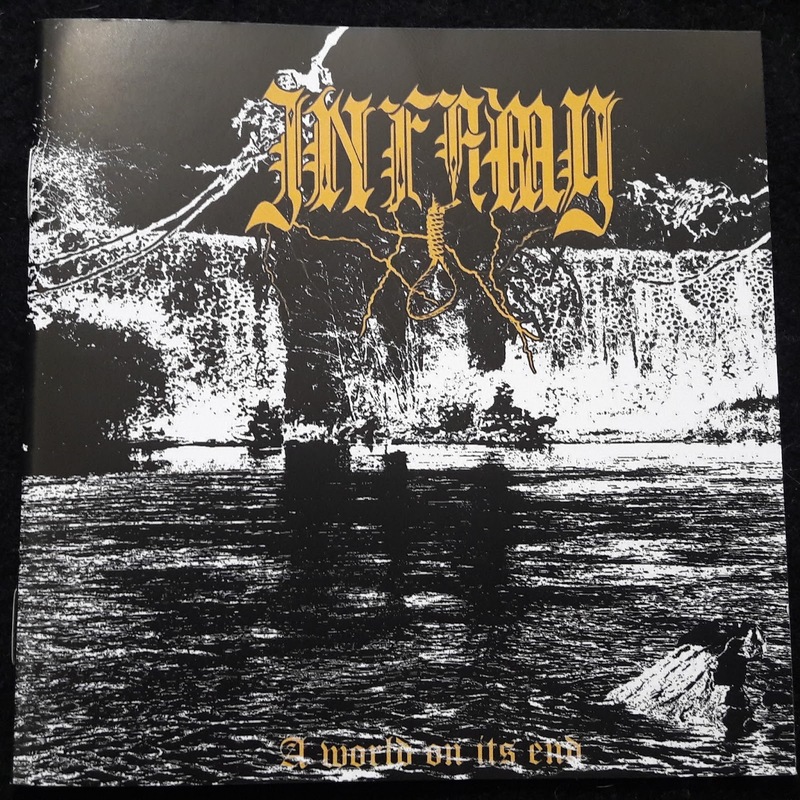 Infamy plays a style of black metal that is very dark, violent, raw and hateful sounding, the production sounds very dark and raw while the lyrics cover dark, hateful, negativity and black metal themes. In my opinion Infamy are a very great sounding hateful and negative black metal band and if you are a fan of this musical genre, you should check out this recording. RECOMMENDED TRACKS INCLUDE "Chaos" "Black Metal Is Dead" and "Your Useless Existence". 8 out of 10.